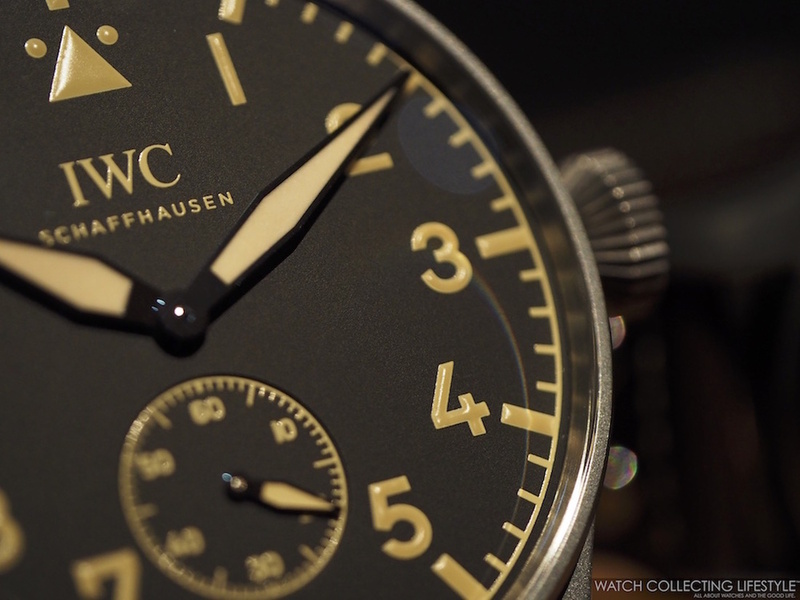 SIHH 2016: Presenting the New IWC Big Pilot's Heritage Watch 55 and Big Pilot's Heritage Watch 48. Hands-on Live Pictures & Pricing. Today, we finally were able to get our hands-on with the new IWC watches for the SIHH 2016. While these are some preliminary images, the live pictures we have here, are an accurate representation of these two new SIHH 2016 Big Pilot's Heritage watches. 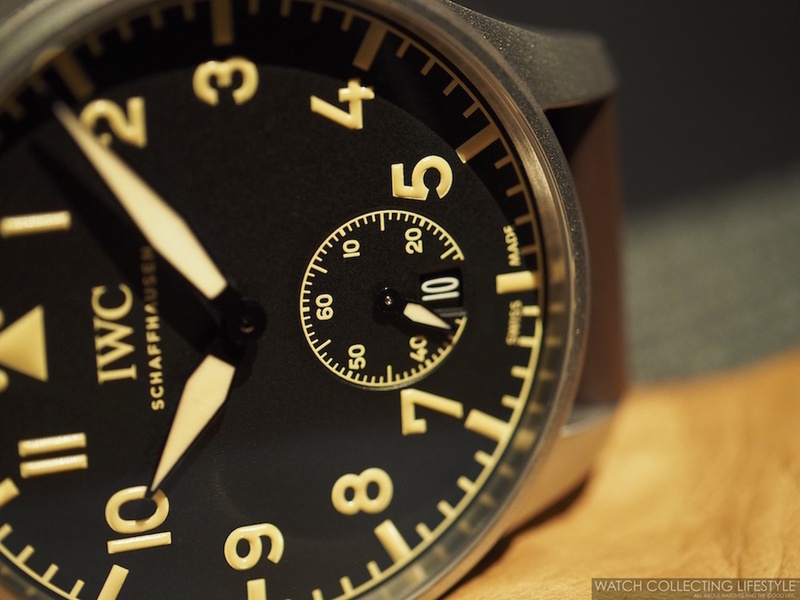 The successor of the Big Pilot's from the 1940s a beast of a watch measuring 52 mm in diameter has finally been surpassed in size by the new IWC Schaffhausen Big Pilot’s Heritage Watch 55 which eclipses a record that was set back in 1940. Like its big brother, the Big Pilot’s Heritage Watch 48 looks very much like the historic original, but makes a few more concessions to modern ideas of aesthetics and comfort. With a case diameter of 55 mm, the Big Pilot’s Heritage Watch 55 follows on directly from the Big Pilot’s Watch of 1940. This enormous eye-catcher, available in a limited edition of just 100 watches, is aimed primarily at collectors and lovers of authentic pilot’s watches. With a slightly smaller but still imposing case diameter of 48 mm, the Big Pilot’s Heritage Watch 48 —limited to 1,000 pieces— is a practical alternative for everyday use. The 55 mm watch wears smaller than one would imagine and both are really nice. More pictures and a hands-on review to follow. Sticker Price $13,400 USD for 48 mm and $14,800 for 55 mm. 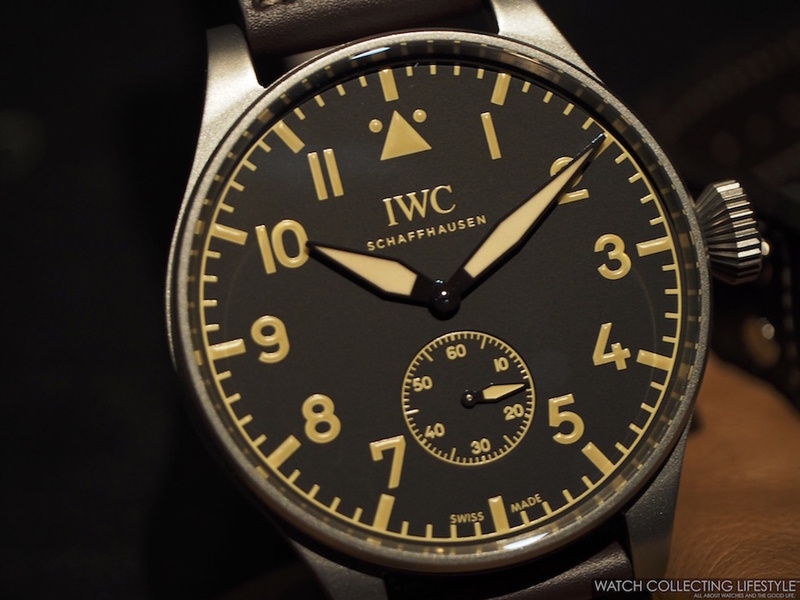 For more info on IWC click here. 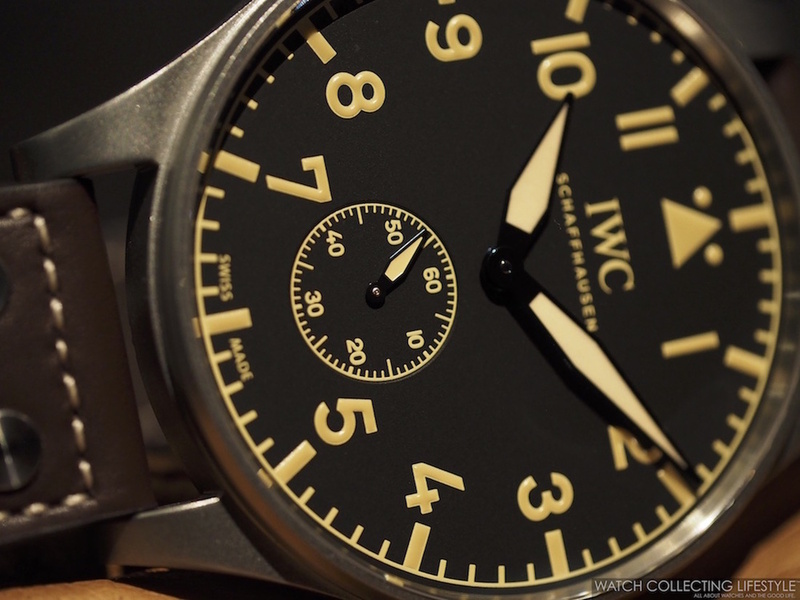 Posted on January 18, 2016 by Editor & Publisher and filed under SIHH 2016, SIHH, IWC and tagged IWC Big Pilot's Heritage Watch 55 IWC Big Pilot's Heritage Watch 48 SIHH SIHH 2016 Most Popular.